Best Whitening Mask Showdown: Which Skin Brightening and Lightening Masks Work? Short on time but got plenty of dull, uneven skin? Your best bet at instant brightening and overall skin restoration is a whitening mask. Whether you're looking to undue a summer of too much fun in the sun, fade the spotted gifts that acne left behind, perk up a dull, beat up complexion, or lighten your skin a shade or two - whitening masks have got you covered. The best ones will instantly give your skin a glow and leave your skin lighter and more even with regular use. So which ones are they? Here is a roundup of the best whitening masks to give your skin some serious TLC. When you're looking to lighten dark spots and brighten overall skin tone, it's all about the ingredients. There are a lot of whitening masks out there but the best ones contain natural skin lighteners like kojic acid, licorice root, mulberry extract, and vitamin C.
Kojic acid, licorice root, and mulberry extract are all natural ingredients that effectively inhibit melanin production - goodbye, dark spots! 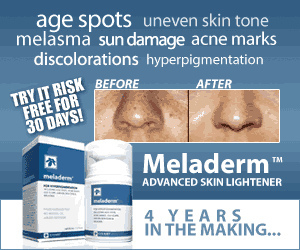 - without the irritation or harmful side effects of traditional bleaching ingredients like hydroquinone. Vitamin C, similarly lessens production of melanin pigments but goes several steps further, helping to protect the skin against sun exposure and keep pesky free radicals that damage and darken skin at bay. When you think 'face mask,' the first thing that comes to mind is most likely a thick, goopy substance you leave on for a few minutes and wipe off. But when you think about it - why would you wipe it off? Especially when you can wear it while you sleep. 'Cause, you see, beauty sleep is really just that - while you doze and slumber, your skin cells are at their busiest. In fact, it's while you sleep when the majority of cell turnover and regeneration happens. The best ones? Mizon's Good Night White Sleeping Mask is a great, very affordable choice - it contains a medley of natural melanin blockers like niacinamide and mulberry extract as well as skin boosters like hyaluronic acid and placental protein. Another good option is Shouvy's Whitening Mask Sleeping Pack, which combines potent skin lighteners like glutathione, ​alpha arbutin and vitamin C.
When it comes to skin brightening, there are only two words you need to know: chemical exfoliation. Unlike manual exfoliation - think St. Ives Apricot Scrub - chemical exfoliation requires no scrubbing, is much gentler and goes above and beyond what you can get with a scrub. How? Whereas manual exfoliants can only polish surface skin cells, chemical exfoliants like alpha hydroxy acids (AHAs) and beta hydroxy acids (BHAs) can penetrate deep into the skin to gently "unglue" dead skin cells and slough them off your skin. This thorough removal peels away dead, rough and uneven layers of old skin, revealing new, radiant, lighter and even skin underneath. You can take advantage of the wonderful benefits of chemical exfoliants in face washes, lotions and even chemical peels. But one of the best ways to get their perks is with whitening masks that contains chemical exfoliants like glycolic acid, lactic acid, and salicylic acid. These whitening masks not only contain AHAs or BHAs to slough off dead skin for instant brightening, but the best ones also have a heap of natural skin lighteners (which the chemical exfoliants help penetrate deeper). On top of that, they even boast skin soothing ingredients to counteract any potential redness or irritation that can come with the exfoliation. Our favorite picks are the Repechage One Minute Exfoliating Mask, which combines lactic acid with natural melanin inhibitors like mulberry root, licorice extract, and kojic acid for brightening and lightening. Also fantastic is the Fruit Cocktail Antioxidant Face Mask, which also contains lactic acid but has less skin lightening benefits and a lot more skin soothing and regenerating perks. This one is perfect for those with sensitive skin. On the other hand, if you've already used AHAs/BHAs before and you know your skin can handle, the 10-Minute Brightening Mask is a more potent and very effecting skin lightening mask, formulated with a great mix of glycolic acid and natural melanin inhibitors like alpha arbutin, licorice extract, bearberry extract and more. Some of the best skin whitening masks hail from Korea, which makes sense when you consider that Koreans have an affinity for milky, luminous skin and face masks. If you've ever watched a Korean drama, you already know that women are regularly donning one of these ubiquitous sheet masks. Thanks to this, there's a huge variety of Korean whitening masks. You'll find everything from your standard sheets masks that are loaded with lightening ingredients as well as specialty masks like the soothing, cooling jelly mask to animal print whitening masks. Fortunately for us, thanks to the popularity of K-beauty, many of these face masks have made their way across the shore so you can also partake in this Korean whitening and brighteing beauty ritual. Even better, these facial masks are inexpensive so you can easily add them on to your skin care regimen without breaking the bank. Wait, we can't move on from Korean masks without mentioning pearl masks. These brilliant whitening masks rely on a centuries old skin lightening remedy: pearl powder. And it's not just whitening - pearl powder has been used in traditional Chinese medicine to treat a whole variety of skin disorders including eczema, boils and acne. Its claim to fame? Pearl powder contains a unique protein known as conchiolin, which is responsible for giving pearls that luminous shine they're prized for. So what are the best pearl masks to ​put on your face? Both Mothermade's Pure Pearl Brightening Mask and My Beauty Diary's Royal Pearl Mask are great for instant lightening and soothing effects. As for your eyes - if you've got dark circles or puffiness, go get thee these Black Pearl and Gold Hydrogel Patches. They work miracles. It's not just Korea - flawless, porcelain skin has been a Japanese beauty ideal for centuries. And thanks to this, they have some seriously potent whitening masks. Our favorites for best results? Kose's Turn White Vitamin C Facial Masks are a cult classic - they're super affordable, they're loaded with Vitamin C and they produce an immediate, noticeable lighter difference to your skin tone. Wonderful masks with the only downside being they can get a little addictive. You may find yourself tearing through them for every "special" occasion. Another one we love is HadaLabo's Medicated Whitening Facial Mask, which contains a good dose of arbutin, an all natural skin lightener to quickly lighten dark spots and brighten overall complexion (great to use alongside Hada Labo's skin lightening lotions, which also contain arbutin). Also great is Kracie's Whitening Facial Mask, which has a helpful combination of Vitamin C and fruit extracts for lightening as well as skin boosting ingredients like collagen. For all the green beauties out there, we haven't forgotten you - there are plenty of great, natural whitening masks to lighten and brighten your skin...without any nasties like parabens and fragrances. Yup, these natural whitening masks are good enough to eat. And they leave your skin looking refreshed, rejuvenated and alive. The best ones to rub on your skin? Acure's Brightening Face Mask is a cult classic in the green beauty sphere. It won't whiten your skin (there's no melanin inhibiting ingredients here) but it does provide a radiant glow, thanks to a whole lot of skin goodies like antioxidant-rich acai berry, soothing aloe vera, skin cell-regenerating stem cells and a whole lot more. Another one we love is as natural as it gets - this Facial Lightening Face Pack is chock full of natural remedies for skin lightening like turmeric, licorice and sandalwood mixed with Fuller's Earth clay (one of the most deeply absorbent clays) and soothing rose. Oh, and we can't leave out this all natural Skin Lightening Face Mask by DivaStuff - they've got some awesome products and this one's no exception. Just keep in mind that this one's stronger than the other natural face masks - it's got kojic acid and lemon in it - so not too frequently when you're first starting, okay?